designed and installed Keller minimal windows® external sliding doors and an aluminium casement door onto Modern Society, a lifestyle store with a coffee bar, in London. The aluminium casement door was installed as the main access to the shop while the sliding glass doors provide additional ventilation and space for the coffee bar. The aluminium framing used on the casement and sliding doors was powder coated a light grey colour to match perfectly with the rest of the exterior. Aluminium casement doors are ideal for commercial properties as they provide a durable solution for the main access door. They also provide high levels of performance with very minimal maintenance. The sliding doors were installed as a three track sliding glass door system to allow for the space to be opened up. 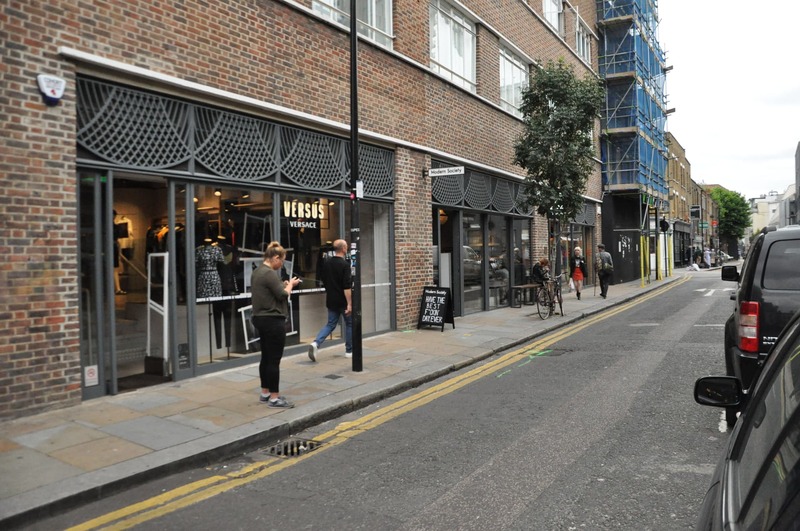 By opening the space customers feel more welcome and are more enticed to enter the shop than if the front elevation was completely closed off. Combining slim framing with large glass panels allows the maximum amount of natural light ingress into the building, lighting the plants and clothes that are on display. The slim framing also allows for great views of the internal and external spaces for passersby and those sitting in the café. This set of minimal windows® has been installed with a flush base for step-free access. A drainage system was integrated to prevent any flooding and water damage to the property during heavy rainfall.